Never heard of the once-renowned “Green Martyrs” of Ireland? Neither had I, until I studied Thomas Cahill’s excellent book, How the Irish Saved Civilization. In it, he shares how Ireland was unique in religious history for being the only land into which Christianity was introduced without persecution: there was no shedding of blood. There were no Irish “red martyrs” as St. Patrick and others brought the reality of Jesus to the Irish with little or no opposition. People became Christians through a gospel of both the love and power of Jesus Christ: even the Druid priests were converted when they saw the power of God displayed above the dark powers they were accustomed to. The Irish monks in their ingenuity thought up another form of martyrdom that did not require persecution and bloodshed: they would come to call themselves, “Green Martyrs” and give their whole lives dedicated to worship and prayer. The Green Martyr was one who followed the cost of discipleship that Jesus laid down, the “deny yourself, pick up your cross, and follow me” kind of commitment that leads to a self-sacrificial existence. 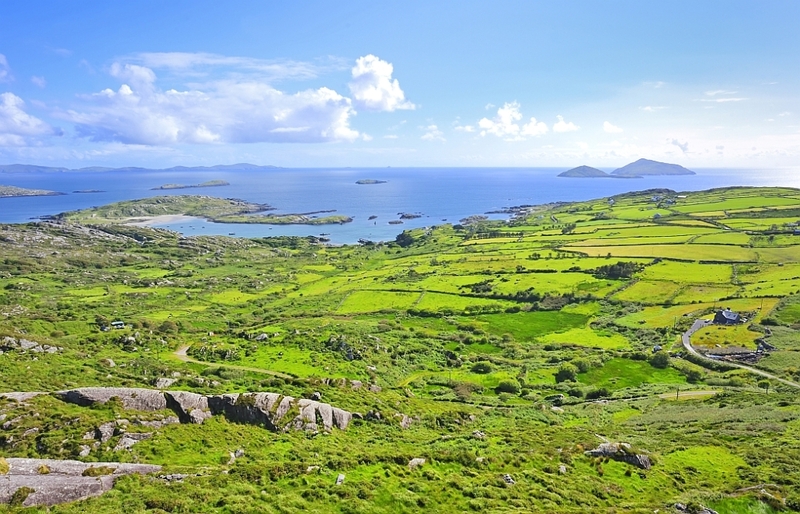 They chose the most remote corners of the Island, places like Skellig Michael, a rocky outcropping some 8 miles southwest of the tip of the Irish coast. Literally, “the ends of the earth” as their maps simply did not go any further than this point. To this day you can still see the ruins of perhaps the best-preserved ancient monastery in Ireland. I was taken out to this island on a boat trip to celebrate my 23rd Birthday while on my first missionary journey many years ago. 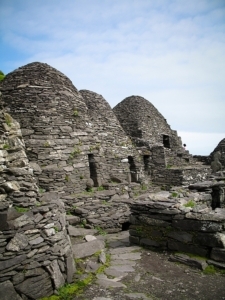 Skellig Michael is an ancient outpost of continuous prayer, consisting of a collection of beehive stone huts surrounding a small oratory building. And here’s a little secret (you read it here first: Star Wars Episode 7 was filmed there with Luke Skywalker on Skellig Michael! The monastery ruins were featured briefly at the end of of Episode 7 and will open Episode 8 when released later this year)! I think God is shining a spotlight on a very special “place” on the earth, known only to Him for 600 years. For generations, rotations of 12 monks came to live here and dedicated their lives to study, prayer, fasting, community and worship. It’s kind of like the original 24/7 model of prayer. 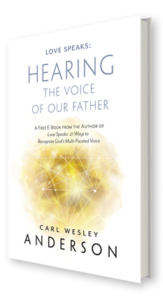 It links current movements like Pete Grieg’s 24/7 Prayer Community based near London, or Mike Bickle’s IHOP Community based in Kansas City, or even the radical expressions of worship coming out of Bethel’s Redding Community or Jesus Culture. Perhaps without realizing it, all of these modern movements have their roots in the ancient “Green Martyrs” of Ireland! 1. Cultivate a lifestyle of radical commitment to God in prayer. You can learn to cultivate a daily, hour by hour dependence upon the Spirit by new levels of self-control and self-discipline. Pray more! Pray fervently. Fast & pray, too. Try checking in with the Holy Spirit every hour of the day. 2. Read & meditate on scripture, daily. The monks did. I visited the ruins of Nendrum Monastery, between Belfast and Downpatrick in Ulster, Northern Ireland. It contains the best-preserved ancient sundial in Ireland, where I noticed there were 8 markers which marked 8 distinct times of the day that these men and women of God would pause in their lives, pray, and meditate on Scripture. Try this: set some markers on your mobile phone to alert you to pause and pray throughout your day! 3. Find a spot in your home to dedicate as “holy space” to God. The Christian Celts called these places, “thin places” because the veil between Heaven and Earth was so thin and they could sense the glory and presence of God lingering there. This could be a prayer room, or even a favorite chair where you commit to daily communing with the Spirit of God, interceding for others, or just reading Scripture. And the more time you spend in communion with God, the more you personally carry a “thin place” with you, wherever you travel, and can bring the presence of the King of Kings to others who need Him. Remember the “Green Martyrs” and become one, in full devotion to Christ! -Carl Wesley Anderson. Please visit our Official Love Speaks Page to learn even more! “All the ends of the earth shall remember and turn unto the Lord; and all the kindreds of the nations shall worship before You” (Psalm 22: 27).